At the heart of any gym you’ll find a great bench – and that’s what the Impulse Elite Multi Adjustable Bench is. It’s built to take the strain of big guys pushing big weights, with a stable base and solid construction. 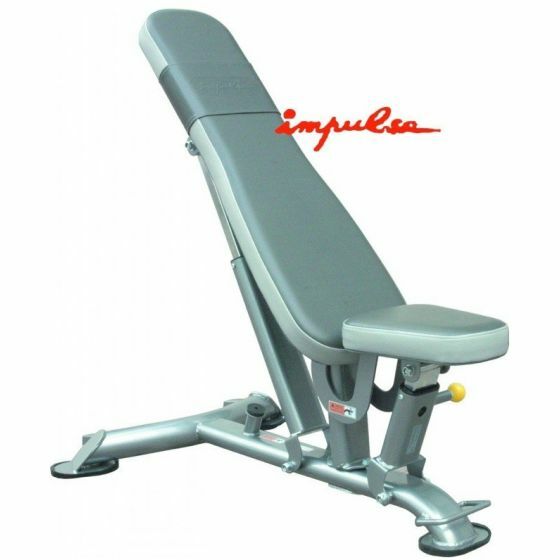 Built to full commercial standards, the Impulse Elite Multi Adjustable Bench will be in constant use by members, with its easy adjustment allowing them to quickly change the angle of the seat and the backrest to find just the right position. And because it comes with a full one year warranty on parts, you know it will be up to the job. Just one of many great products in the Impulse Elite range, this Multi Adjustable Weight Bench is a great addition to any gym. With a multi positional back rest (from flat to incline), sturdy design and easy adjustment system, this is a great value for money weight bench. The Elite range from Impulse offers products that are designed to cope with the demands of regular use in a gym or club. Benches are an essential part of any strength training zone. They give your members a safe and stable platform to perform free weight exercises. Train on a bench with dumbbells, barbells, olympic bars, whatever you choose. The Impulse Elite Multi Adjustable Weight Bench will stand up to the task and comes with a 1 year commercial warranty.